A team led by Kim Anderson, professor in the College of Agricultural Sciences, has created a silicone wristband that absorbs chemicals in the air 24/7. Pollutants can be undetectable to our senses, but an Oregon State researcher has come up with a simple way to monitor chemicals in the environment. A team led by Kim Anderson, professor in the College of Agricultural Sciences, has created a silicone wristband that absorbs chemicals in the air 24/7. 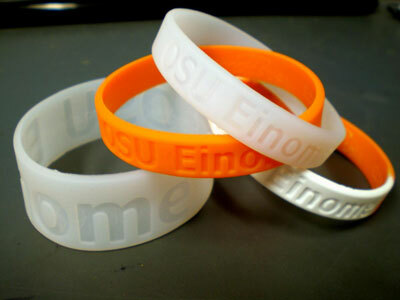 In a recent study with 30 volunteers at Oregon State, wristbands picked up nearly 50 compounds, including flame retardants, pesticides and pet flea medicines as well as personal care products. Anderson’s lab is using the wristbands in a New York City study with pregnant women to measure chemical exposure in their last trimester and how that affects their children after birth.